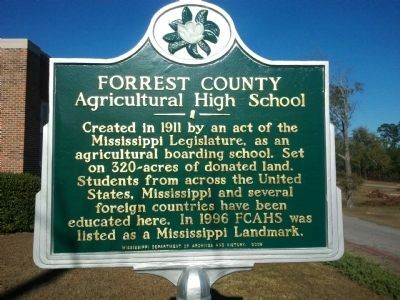 I recently attended homecoming at Forrest County Agricultural High School, my alma mater, in Brooklyn, Mississippi. This is an event that occurs the first Friday of every April (unless it falls on Easter weekend and then it is on the second weekend in April rain or shine)! At each homecoming there are ‘honor classes’ beginning with the current graduating class and then every class having graduated in a 10 year span for the previous years. This year was a ‘special’ year for my class and I was honored to have visited with some of those classmates with whom I have had little to no contact for decades including a sweet friend from Panama! It was a thrill to see her and after all these years be able to revisit that friendship! (During my years in attendance we had the unique opportunity to attend school with students from Central America who boarded during the year in the dormitories on campus). The dorms were also open to students from other Mississippi school districts as well as other states. Sadly, the dorms are no longer a part of the campus but there has been some chatter as to that becoming a part of the make-up of the school in the future. While attending FCAHS I participated in many of the activities on campus including memberships in the various clubs such as FBLA (Future Business Leaders of America), 4-H, Beta Club, and Student Council. Other activities included the Junior-Senior play where I played ‘Birdie’ in the production of ‘Bull in a China Shop’. Sports were also a big part of those high school days….especially varsity basketball. And yes, I played ‘forward’ and lettered three years….all 5’2” of me! When I go back to the yearly homecoming event with my BFF from high school, who was a cheerleader and fellow ball player, for a brief moment we become those carefree high school girls. This year was much the same feeling as we walked through the school to view our class photo composite. There we were on display with so many others through the years in the long hall leading to the front entrance! The evening’s festivities began with a catered meal for several hundred attendees. The program included recognition of outstanding alumni, yearly scholarship awards and entertainment by the ‘Aggapellas’ an FCAHS contemporary ‘a cappella’ group. On Saturday evening we had another gathering at a smaller venue for our classmates and more ‘one on one’ visitation which we all agreed was a hit and that it should occur more regularly. 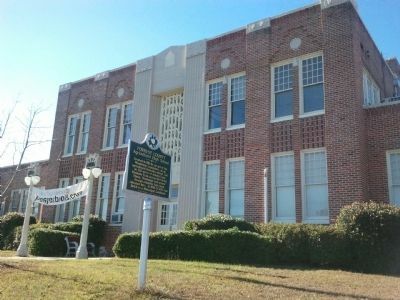 This lovely old school, created in 1911 by the Mississippi State Legislature, has celebrated over 100 years of existence. An agricultural high school teaches the basics of farming and other trade related skills as well as preparing students to go on to college if that is their choice. Many young people have walked the halls of FCAHS and many went on to make noteworthy careers for themselves not only in the Pine Belt but throughout the world in business, education, medicine, sports, and so much more! I have often touted the wonderful alumni association that exists. It certainly would not survive except for the dedicated teachers, staff, historians, and monetary contributions. All this, from those who want to see this venerable educational institution and genuine Mississippi treasure prevail for generations to come.